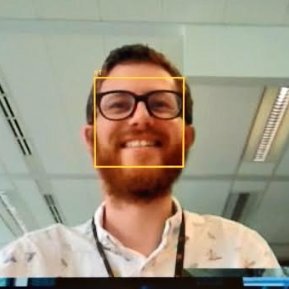 Last week I created a Microsoft Flow which connected with the Dynamics 365 Customer Service module. 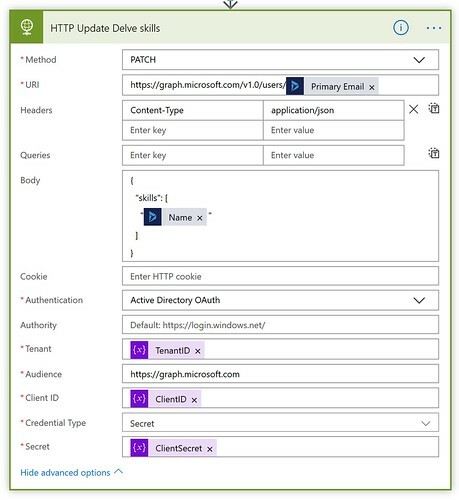 This time I wanted to test if it was possible to connect a Flow with the Project Service Automation module. One of the concepts which is used in the Project Service Automation module is resources skills. A resource requirement can be filed for a new project. Based on these skills resources can be matched and scheduled. I found it interesting that skills can be managed on Dynamics 365 because I also found an option to update your skills in Delve. 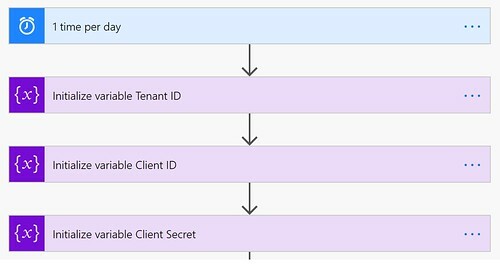 So in this example today I am trying to get the skills from Dynamics 365 into Delve. Below is an example of a resource skill. It is based on a characteristic called Budgeting. The Flow will sync this value to the Delve profile of the same resource. In the first part of the Flow I am using a schedule and three initialize variable actions. In the list records action it will get the Bookable Resource characteristics records from Dynamics 365. It will use a filter based on the CreatedOn field and will only get the records created today. For every record it will first find the related resource. From that output it will get the related user. In the action below we will get the related characteristic record. In the last action it will use a HTTP action to update the skills in Delve. It will use the primary email and characteristic name for the PATCH request. It uses the Update user method of the v1.0 Graph endpoint. 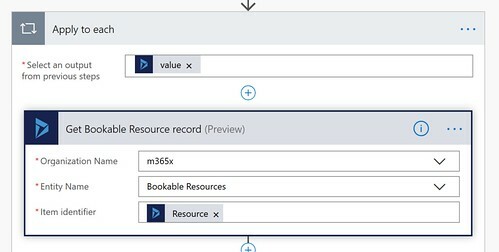 The current Flow doesn’t compare the new bookable resource characteristics records with the current skills of a user on the Delve profile. So it will simply overwrite the current values. Of course this is something I can improve in a next version.